The Dragon Wars are over, but now a bordering country is breeding dragons in preparation for invasion. Never one to sit around, Creel throws herself headlong into an adventure that will lead her to old friends and new dragons. 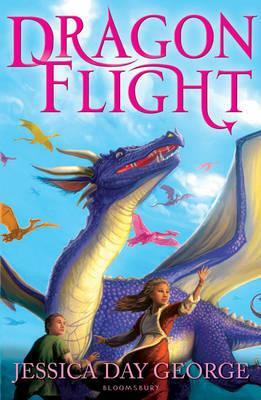 Jessica Day George is the author of "Sun and Moon, Ice and Snow," "Dragon Slippers," and its sequel, "Dragon Flight." Originally from Idaho, she studied at Brigham Young University and lived in Delaware and New Jersey before settling down in Salt Lake City, Utah. She had been a movie store clerk, librarian, bookseller, and school office lady before she got her big break. Jessica lives with her husband, their young son, and a five-pound Maltese named Pippin in a house that needs to be vacuumed much too often.